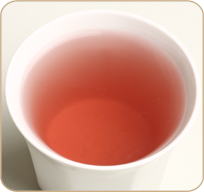 TEA BENEFIT In Europe, beet roots have been linked with treating cancer owing to the high content of betanin in the vegetable. In fact, recent research has indicated that beet roots can not only aid in inhibiting the growth of a tumor but also reduce the chances of cancer considerably. Pineapples are loaded with vitamins and minerals including vitamin A, vitamin C, calcium, phosphorus, and potassium. It is also rich in fiber and calories. On top of it all, this fruit is low in fat and cholesterol. All the nutrients it contains promote good health. DESCRIPTION With pineapple, apple, carrot and beet root bits. Another tangy-licious offering from our bouquet of Teas. Dark red liquor and unique taste. Good for non-tea drinkers. Take one heaped teaspoon per 200 ml of freshly boiled water. Use a tea pot or a carafe. Pour water onto the tea. Cover and brew for at least 5 minutes. Adjust brewing time with strength and taste desired. Rinse pot after wards with hot water only. Do not use soap. Please do not add milk or sugar. Reserve Fruit Melange Tea pots exclusively for these Teas only.